But the corruption is not only in the ANC but also in every facet of the nation: the schools, local governments, utilities, the mines, the police, the unions, South African Airlines, the rail service, and the banks. Plus, the political corruption in the ANC bleeds into all areas of national and local governments. Everyone seems to demand a bribe to do anything. Wow, that was the Times of New York City! Zuma was forced to resign and was replaced by Cyril Ramaphosa who as noted by the Times, is “a veteran A.N.C. insider, and early signs have not been encouraging.” The article admitted that Ramaphosa has “amassed extraordinary wealth” since the presidency of Nelson Mandela. Former President Zuma hopes to take the office back from Ramaphosa in this year’s election to continue his pilfering of the people. It seems the seeds of corruption were in the transition from white minority rule to black majority rule under Nelson Mandela. When the transition took place, the Blacks took political power in the national and local governments, but Whites still held the reins of economic power. The biggest burr under the saddle is that most of the arable land belongs to Whites; and Blacks want that burr removed. Hence, the Parliament has voted to take land from white farmers (without compensation) and give it to Blacks. That bit of political thievery has turned the nation into a powder keg as white farmers including children and the elderly have been tortured, raped, and killed by roaming black thugs. As of 2014, four thousand white farmers have already been killed, according to The Times of London. Ace Magashule is now the Secretary-General of the ANC, but he was weaned on early corruption in the Free State province. At the demise of apartheid, he was in charge of economic development in the cabinet of Mosiuoa Lekota the premier of the Free State. The premier said he caught Magashule stealing government money which Magashule denied. The premier fired his underling, but the firing was overruled by the ANC deputy Secretary General, Jacob Zuma, who would become the President and take corruption to a shocking level. At the end of apartheid, Zuma campaigned for corruption because all the other leaders were getting rich — people like Ramaphosa and others who were on Mandela’s A list. Zuma showed all politicians how to major on sleaze and now faces 16 counts of corruption, money laundering, racketeering and fraud related to a government arms deal in the late 1990s. Plus he has been charged with other corruption accusations including spending $24 million of public money to remodel his private home. With all this facing the former president, he will either go to prison or back to the presidency this year. Premier Lekota acknowledged, “Zuma did go to some of the other guys and said to them, ‘This is what Mandela is doing. We must wake up and we must go for the money ourselves’” This is the same Zuma that posters and banners declare, “Zuma is like Jesus!” I’m afraid not. Jesus was not a thief. Lekota left the ANC to establish his own party, the Congress of the People, in 2008. The nation is in turmoil as election day approaches with assassinations, unrest in the black population, and reports of coups in the works. Reuters reported on September 10, 2018, “The ruling African National Congress (ANC) on Sunday labelled reports that top ANC officials, including former President Jacob Zuma and the party’s secretary-general, were plotting in secret to unseat Cyril Ramaphosa as party leader as ‘Shameless gossip.’” However, photos have been published with the alleged plotters together at a local hotel; but were they conspiring to oust the President or playing dominoes? Obviously, President Ramaphosa is busy trying to stay in power and get reelected, but he has so many warring factions inside and outside the ANC, plus the murder for hire of wayward members and multiple acts of sabotage in many major cities. Everyone seems to carry guns or has bodyguards — even low-level provincial (state) leaders. If one complains about the shoddy work done on a government project or publicly complains about political corruption, he ends up dead in a few days. Of course, the culpable politicians often attend his funeral and may even weep copious tears. President Ramaphosa pledged to clean out the massive, malodorous mess from South Africa’s “stables” he inherited from former President Zuma, but thus far, he has only added to the pile. Dr. Don Boys is a former member of the Indiana House of Representatives, who ran a large Christian school in Indianapolis and wrote columns for USA Today for eight years. 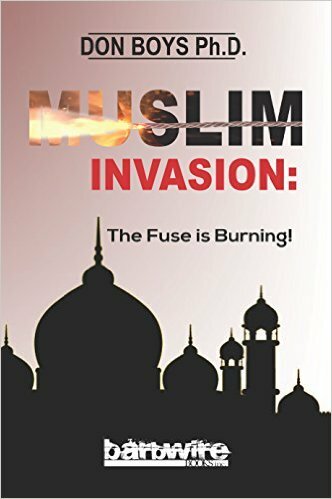 Boys’ book, Muslim Invasion: The Fuse is Burning! 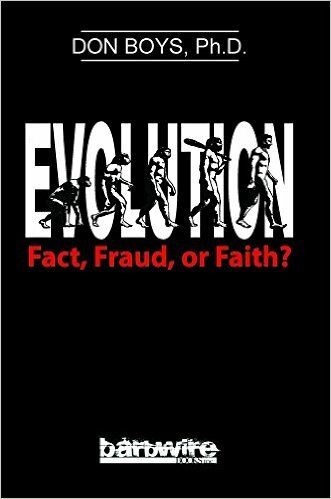 Is available here. Follow Dr. 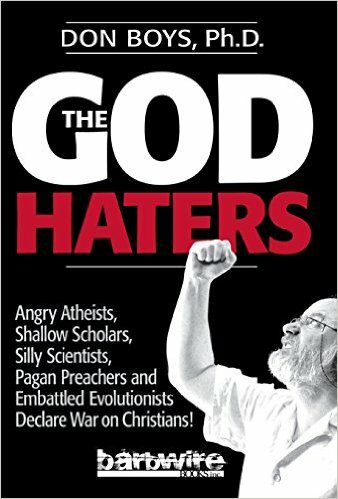 Boys on Facebook at CSTNews and TheGodHaters, Twitter, and visit his blog.